New Jersey Concealment Furniture is the 800lb gorilla in the handmade secret compartment furniture niche. Their wide range of offering blows most of the competition out of the water. Here’s a lesser known item from them. 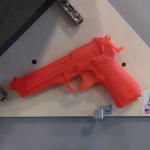 This is a functional flag case that mounts to the wall. The case actually lifts up to reveal a secret magnetic pistol mount hidden in a compartment inside. The case is kept secure with an invisible magnetic lock. This is a great place to keep a pistol out the hands quickly accessible, but securely out of reach of children. 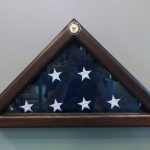 Check out this video of the flag case in use. The emblem at the top becomes the magnetic key to an invisible lock. 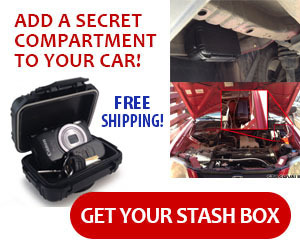 A small gas strut helps lift and holds the case open.